Busy now? Then pin me for later! 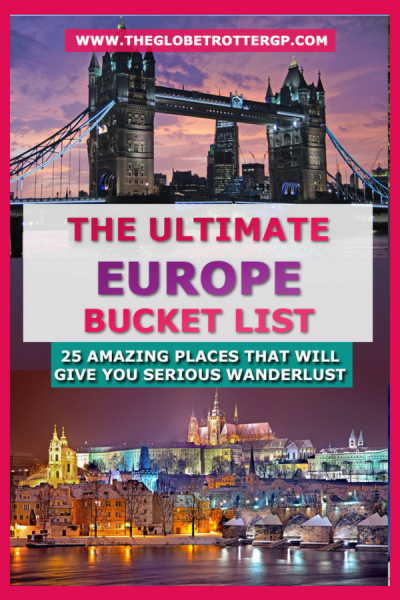 Looking for some travel inspiration for your trip to Europe? 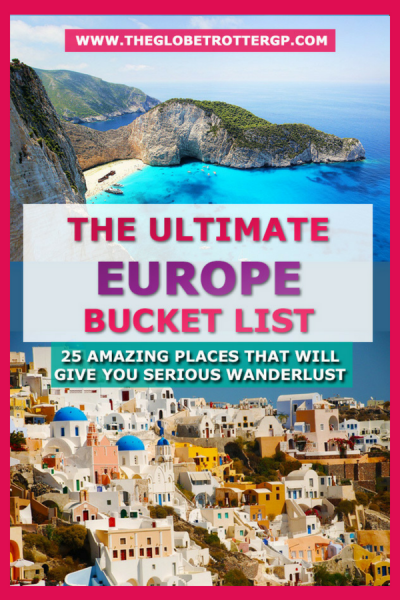 This ultimate Europe bucket list has got it covered!Europe is an incredibly diverse continent. We have beautiful snow-capped mountains, vibrant cities, idyllic islands, mysterious forests, beautiful lakes, interesting architecture and culture and history in abundance! Foodies will love the patisseries and fancy restaurants in Paris. Adventure seekers will get plenty of kicks in the Alps. 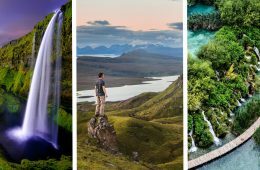 Nature lovers will be happy getting lost in Iceland. Sun seekers will happy whiling away some time in beautiful Greece. History lovers and bookworms will love Romania and all its storybook castles.So whilst everyone’s European bucket list might be different, here are 25 places to give you the inspiration to add to your own Europe bucket list!If you want to head to Europe but you are apprehensive about solo travel, I always recommend G Adventures and Intrepid, both small group adventure trip companies which I have travelled with extensively and can wholeheartedly recommend!If you are happy to organise your own trip then one of the best ways to get about Europe is by train. Here’s a great guide about train travel in Europe which will tell you everything you need to know! Or consider taking a scenic train journey in Europe where even the journey is a great experience! Shipwreck Bay is best viewed from the cliffs opposite, this is truly one of the most stunning beaches I have been lucky enough to visit. It was so beautiful that I made the 2-hour journey to visit it twice in 1 week!The stunning azure ocean glistening in the sun, the white sandy beach complete with rusty shipwreck for added character and the dramatic cliffs rising majestically from the ocean. Together it makes the most dramatic beautiful scene that is worth travelling for.You can visit the beach itself by arranging a boat trip and whilst it was really lovely there, it got crowded and the views are actually much better from higher up. If you have time, see it from both perspectives! The walk out to this viewpoint in this picture can be a little hair raising at times so best only attempted by the fit and sure-footed!There are viewpoints which are safer to reach which give you a reasonable view but you’ll need to go a little further out onto the cliffs to get pictures like this. Please take care and don’t rush. Always wear sturdy shoes, preferably walking boots. I do not recommend attempting it in flip flops!Hey, if you want to read about my disastrous attempt to get to Shipwreck bay and have a laugh at my expense, you should check out my travel fails and hilarious stories post! This is an absolute gem that you’ve probably never heard of. This tiny island just off the coast of Sicily is one of my favourite places in Europe. 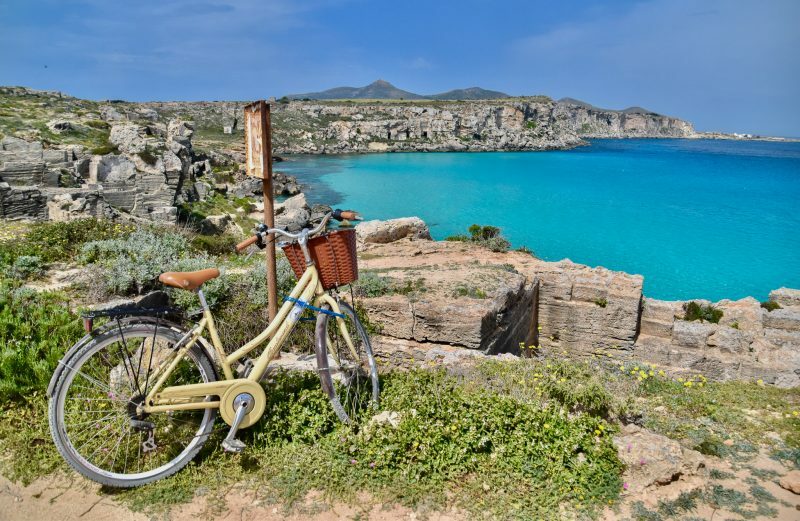 You can hire a bike and cycle the full island in one day stopping off at picture-perfect beaches. The water at Favignana is a crystal clear azure colour like you might only expect to see in the Caribbean! Further north and inland, you will find this spectacular waterfalls, a UNESCO site. A wooden pathway weaves between waterfalls big and small separating 16 lakes allowing you to get really close to the beautiful cascades. 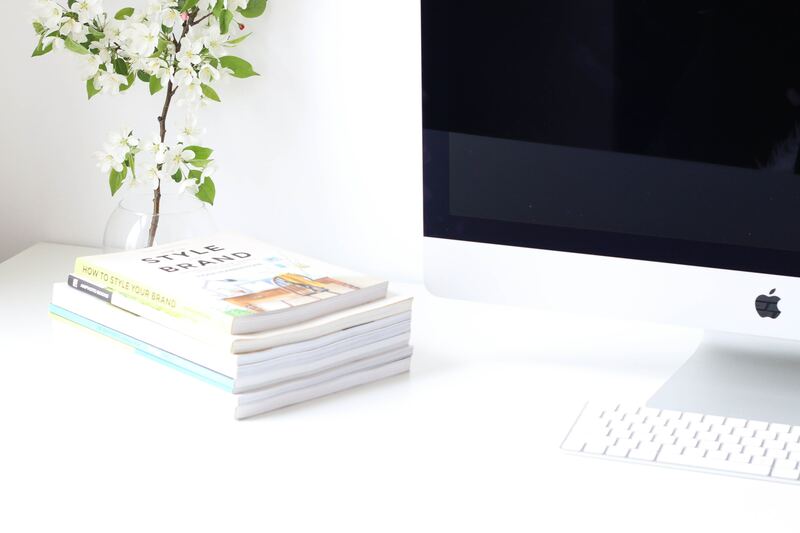 Your camera will definitely be getting a good work out! This is one of the most underrated places in my opinion. Situated just above Reykjavik and about a 2.5-hour drive from the city, it’s often left off most people’s Iceland bucket lists. I have no idea why!!! This was for me, the prettiest part of Iceland with huge looming mountains, ginormous powerful waterfalls, pretty beaches, rugged coastline and dotted with comical Icelandic horses. 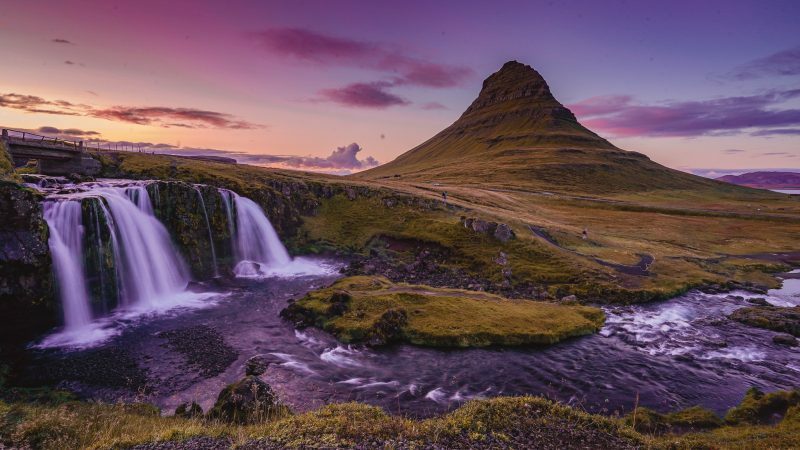 The highlight for me was Kirkjufellsfoss – 2 small waterfalls perfectly framing the conical mountain Kirkjufell – it makes for a stunning sunset or sunrise spot and you should most definitely add it to your Europe bucket list! Again, Venice I found so inspiring that I found myself visiting a second time. The colourful houses, the grand cathedrals and churches, the maze of canals connected by ramshackle bridges – Venice is somewhere you will want to get lost time and time again.Indulge in some tasty Italian pasta, sit in the Piazza San Marco main square and people watch whilst enjoying a glass of Italian prosecco, stroll around the Basilica and then take a slightly cliched but worth-it-anyway ride on a gondola exploring the maze of canals which makes Venice famous with tourists. Often overlooked by visitors to the UK who instead focus on London and the surrounding countryside. But the Lake District is beautiful and in my opinion should be on everyone’s Europe bucket list!The rambling hills, evergreen forests, pretty lakes and rivers are beautiful but what gives the lake district it’s unrivalled charm is the quaint lake-side villages filled with cafes, outdoor clothing shops and gift shops to while away several hours.If you get a chance, visit Grasmere. There is a unique and tiny shop which sells Grasmere gingerbread which is well worth a visit! Grasmere gingerbread is a secret recipe, somewhere between a biscuit and a cake, it has been talked about amongst celebrity chefs such as Jamie Oliver! The business is still thriving over 160 years later and I always make it my goal to visit there and stock up on gingerbread whenever I am in the area! If you do go to Grasmere, consider staying at the Rothnay garden hotel. They have the nicest spa inside a conservatory – it was so nice sitting in the jacuzzi overlooking the stunning lake district scenery! This one has been on my own Europe bucket list for a while now, maybe 2019 will be the year?Santorini has always appealed to me for its beautiful whitewashed typical Grecian building with bright blue domed roofs which frame the naturally dramatic landscape of this volcanic island.Whilst there are beaches, you will not find the same soft white sandy beaches of Zakynthos. Instead, they are rocky and some with black sand! Whilst worth a visit, for me, the true beauty lies within the villages and towns on Santorini. Definitely one of my favourite places for a girls’ weekend away in Europe – I had the most amazing time there with my friend Emma. Now whilst we didn’t have enough time to see all the typical tourist hot spots in Budapest like visit Castle Hill, the parliament buildings or St Stephens Basilica, we had a packed weekend!Our Favourite thing to do in Budapest was to explore the beautiful spas especially the beautiful Széchenyi Spa – 17 thermal pools and in the grandest neo-baroque building built in 1927. There are lots of smaller baths indoors where you can choose the temperature you are comfortable with or visit the large outdoor pool. We stayed until it went dark and enjoyed the experience sitting in the warm pool outdoor with steam rising around us whilst the beautiful building was lit up with twinkling lights! Consider getting an upgraded package which allows you access to a lovely chillout area where you can read your book in a hammock whilst awaiting your massage!Aside from spending most of our time in the spa, we also took a guided tour of the Opera house, visited some markets, ate our body weight in goulash and found a pinball museum which was super fun!In the evenings, we headed out to ruin bars. These quirky bars are found all over Budapest in what were previously abandoned warehouses, now packed with the weird and wacky from flying silver pigs to bikes suspended from ceilings. You can even sit in an old convertible car whilst you enjoy your cocktail! Not somewhere I’ve personally been but most definitely on my Europe bucket list! Lapland is a snowy winter wonderland for around 6 months of the year. Let your inner child roam free and visit Santa Claus year-round. Take a husky ride, go skiing, take a wintery walk in the forests, take a million photos and search for the northern lights come night time. Check out my friends guide to Lapland on her website www.pipandthecity.com. The highest railway station in Europe at 3454 M, the views here are just incredible! Walk out onto platforms and admire the breathtaking rugged snowy mountain scenery then explore the ice sculptures at the ice palace. A little heads up though, food at the top is pretty pricey but the views are worth it..! Sony A7iii – this camera is full-frame so takes professional standard photos but it lighter than your average pro DSLR. Before this, I had a Nikon D5500 which was great for beginner photography. Another one still on my Europe Bucketlist but I’ve been hearing so many good things about Lisbon recently that I’ve decided I really need a trip here! The ramshackle buildings, narrow streets, old-fashioned colourful trams and the Portuguese patisseries are all pulling me to go and visit! 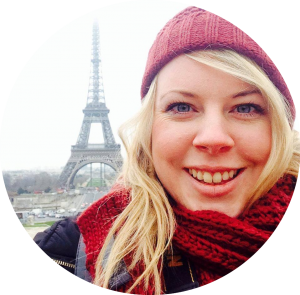 See my Lisbon guide written by a local packed full of Lisbon tips for your visit! 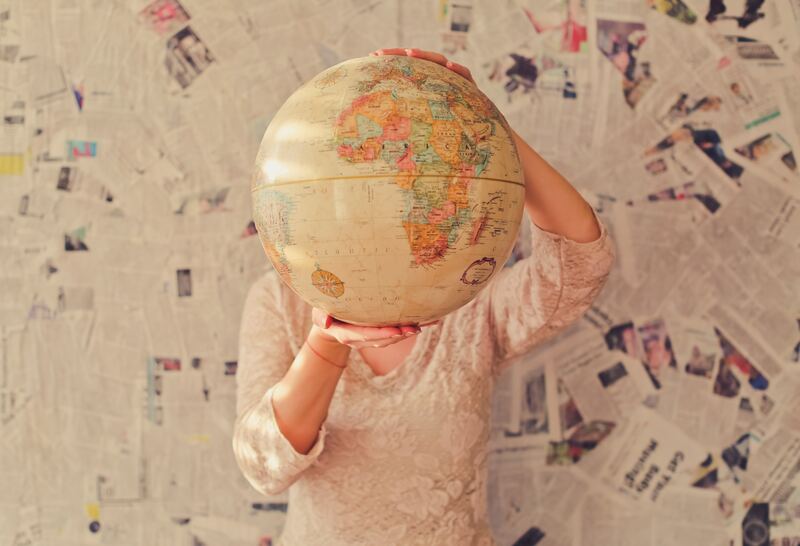 Only this weekend, I was having a conversation with a seasoned traveller about why London is still his favourite city even though he’s travelled extensively and visited many cities worldwide. We agreed London is one of the most quirky and diverse capital cities either of us had visited. There is never a shortage of non-touristy things to do in London. I’ve just discovered a bus tour you can do covering all the highlights, whilst having afternoon tea! Read about it here.Also, consider taking a Christmas getaway to London when it is transformed into a winter wonderland! The city which never sleeps. Okay so usually that’s what they say about NYC but I found it to be true with Madrid too. Returning to the airport at 6 am on a Sunday morning, the city was actually busy! Women walking barefoot carrying high heels wearing their party dresses from the night before! Madrid certainly was a party city but with plenty to see and explore during the day. Hangovers can be recovered from at one of the many public outdoor pools. Why not try a flamenco lesson? So much fun!Check out some of these Madrid Icons! Visit the postcard-perfect Lake Bled in Slovenia where a little church on an inlet is framed by the bright blue glacial lake and snow-capped mountains in the distance. It’s an easy day trip from Ljubljana. For more tips about Ljubljana, see my Ljubljana locals guide. As Audrey Hepburn once said, “Paris is always a good idea.” (read more inspirational travel quotes here. 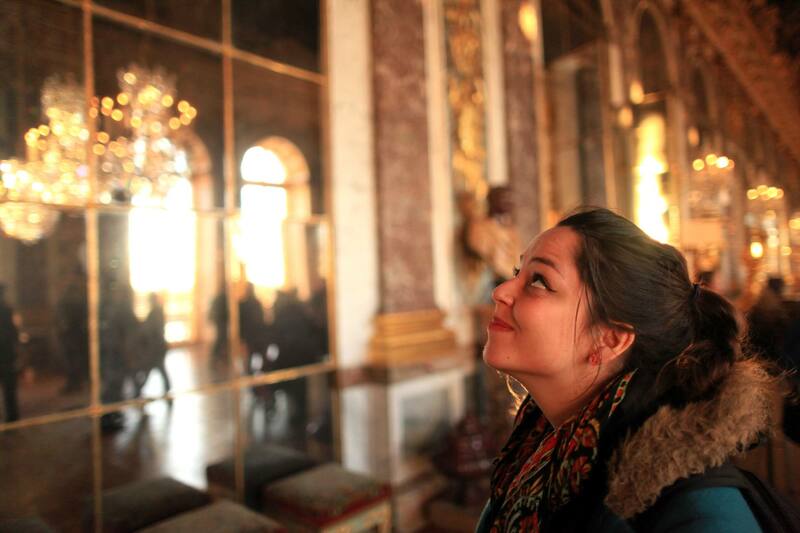 )You couldn’t write a Europe bucket list without including Paris. The city of romance, culture, food, fashion… There really is something for everyone. Paris is the sort of city where you should take your time, not rush from one attraction to the other. Because the real beauty of Paris is in day-to-day life. So find a little patisserie, take a seat and watch the world go by! 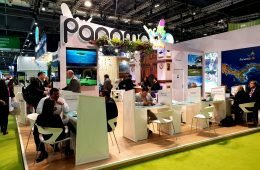 See my detailed Paris guide written by a local for more tips or if you want to try some quirky things in Paris, check out this Unique Paris guide. Steeped in history and culture, the charming city of Prague definitely deserves its place on this Europe bucket list! Take a river cruise, find a great vantage point to take photos of the beautiful red-roofed city or browse the many attractions within the castle walls. The best bit? It’ll be an absolute bargain!Read more | A 3 Day Prague Itinerary. This stunning archipelago in Norway is actually within the arctic circle but due to a warm gulf stream, it’s climate is milder than you’d expect. There’s an abundance of activities on offer including kayaking, fishing, wildlife watching, hiking and even scuba diving or go back in history at the Viking museum! There are some great places to go skiing in Europe – especially in the French and Austrian Alps. But personally, I would recommend Bulgaria. It’s a lot cheaper than other European countries but with a good range of slopes and a lively apres ski. Check out my review of Borovets Ski resort! 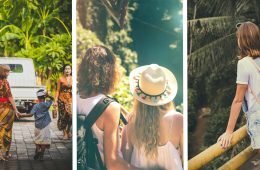 Most people head straight for Amsterdam but actually, there are some great places to visit in The Netherlands outside of the cities! Like Giethoorn, the mini Venice of The Netherlands. Here there are no cars, only boats so it is serene and peaceful. The best way to explore is to take a canal cruise through the picturesque town. 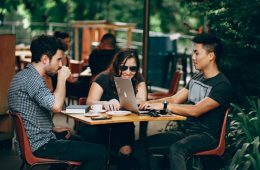 Read this article for other things to do in Giethoorn. The Cotswolds are another great English highlight. The rambling hills and picture-perfect towns and villages with cute cottages like these. You may even find a thatched roof or two. Take a Cotswolds road trip, go hiking in the surrounding countryside and spend your evenings sat by a roaring fire in a local pub. Ah, one of my favourite places. Somewhere I loved so much that I visited twice. With its beautiful coastline, azure ocean contrasting with the bright red-roofed walled city, you won’t get bored of taking photos here! Keep your eyes peeled for film locations from Game of Thrones! The walk around the city walls is just spectacular but I also recommend getting out of the city and doing a few island trips! 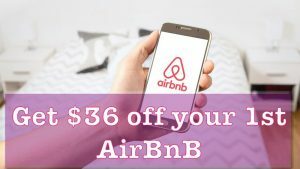 Click here ➡️ to check out places to stay in Dubrovnik. If you can afford the price tag, Copenhagen is worth adding to your Europe bucket list! The scandi chic design influences, vibrant colours, clean waterways make it a great city to visit. Copenhagen is also a great place to visit in the winter – check out this guide to Christmas markets in Copenhagen! Transport yourself to a world with Count Dracula at large by visiting this neo-renaissance castle in Sinaia, 77km from Bucharest. Set in the Carpathian mountains and surrounded by forest, it really is like entering the pages of a storybook. Whilst you are there visit the smaller but equally alluring Pelisor castle, a nearby monastery and then get the gondola up to a vantage point and hike back down! Cappadocia has long been on my Europe bucket list! The strange rock formations make for interesting exploring but imagine seeing them from above in one of the hundreds of hot air balloons dotted about the sky. Isn’t it just spectacular?! This charming town with its iconic bridge, azure river and delightfully chaotic markets along cobbled alleys is well worth a visit. Though prepare to be saddened by all the stark evidence of a previous war with bullet holes spattered across most of the buildings in the centre. Even the Old bridge had to be rebuilt following the war, which is the main attraction for tourists mostly visiting from neighbouring Croatia. Prepare to relax in the South of France. Ramshackle towns and villages, cobbled alleys, French patisseries, vibrant street markets selling the freshest of ingredients. Spend your time basking in the French sunshine, browsing the local towns and enjoying the local wineries. I stayed a Gite La Fleurieu in Puy-L’Évêque in the mid-Pyrenees on a food and wine weekend. The countryside gite with its swimming pool looking out onto nothing but rolling hills was an amazing place to stay. The food and drink amazing – we even had a wine lesson at the gite! You can read about it here. Whilst Amsterdam is on many people’s Europe bucket lists, Rotterdam is often overlooked. But that is such a shame as it is a brilliant city in its own right. Completely different from Amsterdam – much more modern. 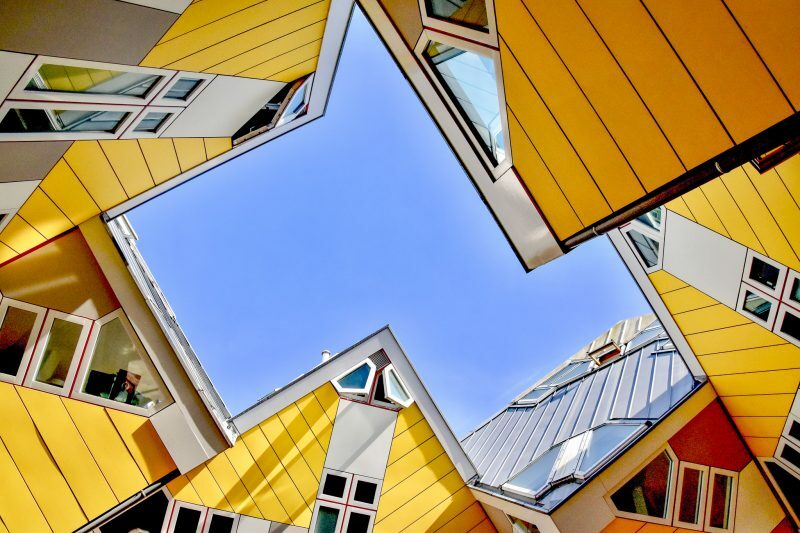 Rotterdam is famous for its architecture such as these cute yellow cube houses! They also have great nightlife and a great market hall with amazing food for those foodies out there! Brighton feels like the happiest place on earth. 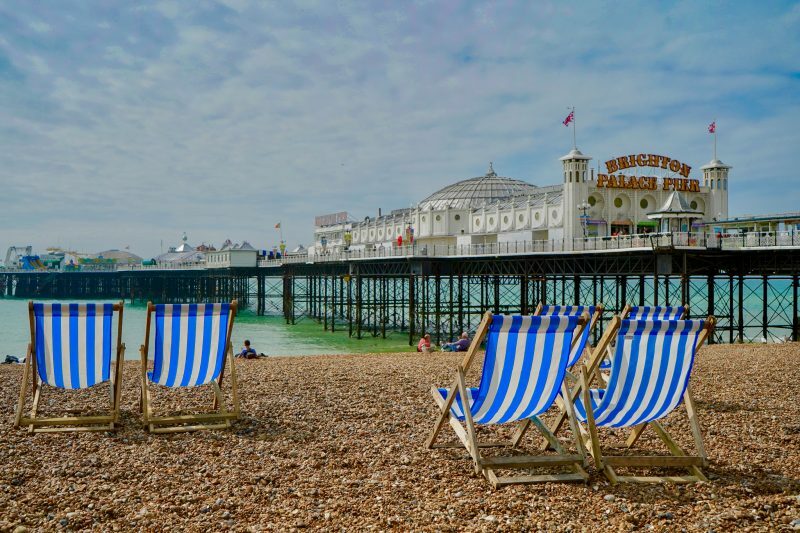 With the fairground on old-fashioned quintessentially British pier, a zip line on the beach, a Taj-mahal themed play palace and quirky attractions like a ghost tour and glow in the dark crazy golf! Brighton is another of my absolute favourite places in Europe! 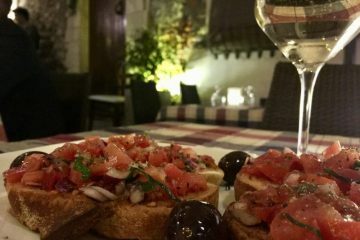 Sicily is an amazing little Italian gem. It’s a larger island than you’d imagine so you need to allocate at least 10 days to see Sicily properly. There are so many beautiful beaches, peaceful walking paths and old cities with old churches to explore. One of my favourite cities in Sicily is Cefalu. Smaller than Palermo or Taormina and less touristy. 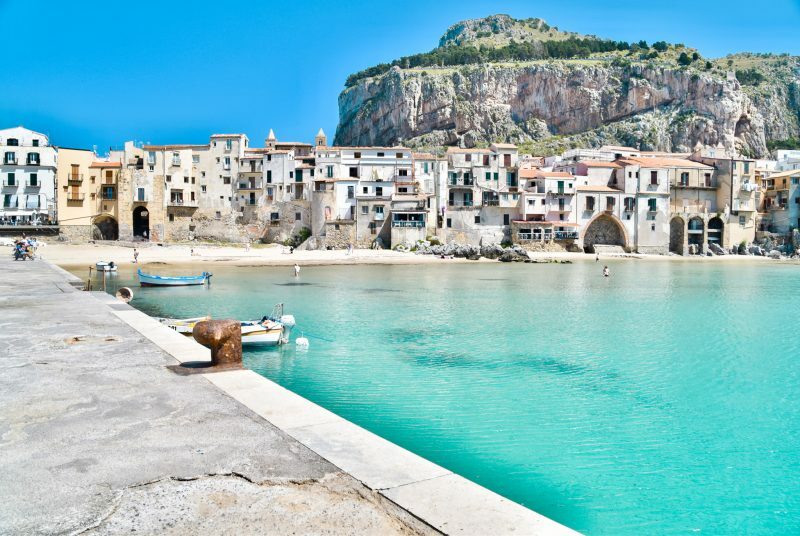 Cefalu has a beautiful beach, this super cute jetty and the old town is full of ramshackle buildings and cobbled alleys – a definite addition for your European bucket list!. 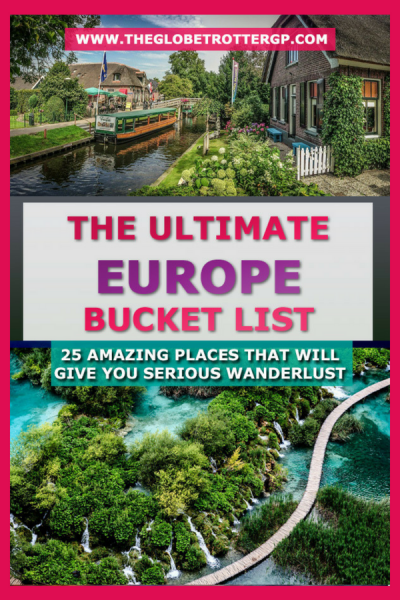 Get more Europe Travel Inspiration! 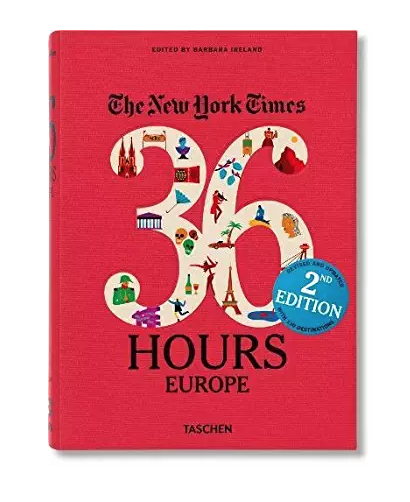 I love this book for travel inspiration because it not only tells you what is realistically achievable in one weekend trip but it also includes some quirkier options rather than all the typical, obvious activities and tours! It’s one of my absolute fave coffee-table books! So, have I managed to inspire you to plan a trip to Europe? 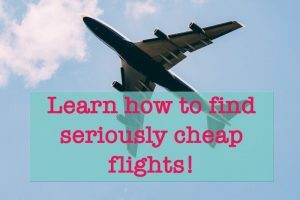 If so take a look at the resources below to help you plan a cheap and safe holiday to Europe. 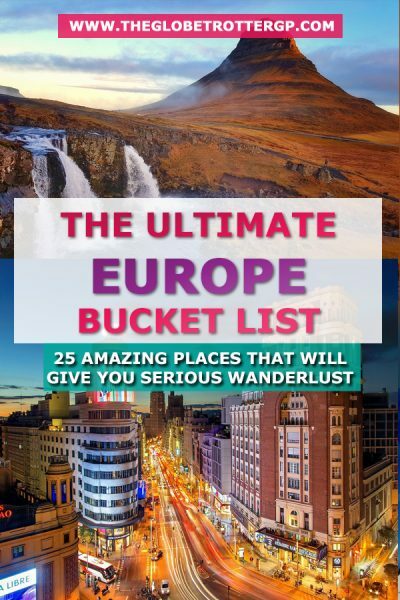 What is on YOUR Europe bucket list? Do you have any other suggestions? If so, we’d love to hear from you! Please comment below! 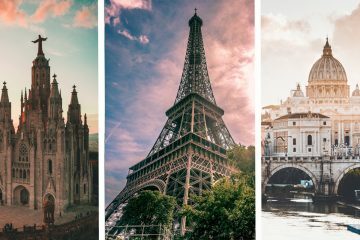 If you’re still looking fior more Europe travel inspiration, you may like these articlesThe best cities breaks for couples in Europe12 Beautiful English countryside getaways25 worldwide adventure bucket list experiencesIf you are looking for cheap flights to Europe, check out my Guide to getting bargain flights.If it’s accommodation you’re searching for, first check out my Airbnb hacks (and free Airbnb coupon. 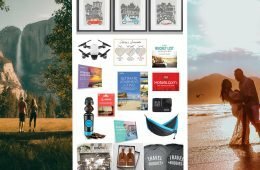 )Or need help packing, here’s my backpacking essentials list.If you are looking for a tour in Europe, I wholeheartedly recommend G Adventures and Intrepid Travel who I have travelled with multiple times previously. Please help me to share this post by sharing it with your family and friends by using the buttons below! Thanks a million! Next ArticleSaray Restaurant, the Best Turkish Food in Cardiff? Woohoo! 9 ticked off so far! Definitely adding Plitvice to my bucket list! That’s the problem with bucket lists – they are always growing no matter how much you tick off! What a fantastically diverse list, really like the choices you’ve included. Been to 16 so far but many of them I’d like to revisit as was long ago! 16 is pretty good going! I’d love to revisit Paris! 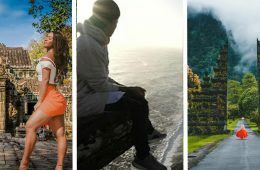 This is such a useful post, my partner and I finished a 3 month Europe tour not long ago and a post like this would have been so useful as we were so unsure where to start! We managed to squeeze in 12 cities but Lofoten in Norway is still on my bucketlist and I would so so love Cappadocia in Turkey. Are the balloons there the entire time or is it a certain time of year? 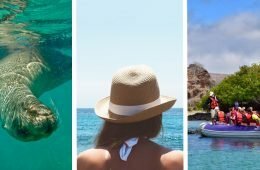 What a beautiful bucketlist indeed and so many stunning adventures! Yes I believe they do fly year round! Glad you found it so useful! Wow great list! I’ve been to at least 8 but definitely have plans to visit the others too! Just waiting for my little piggy saving pot to grow hehe! 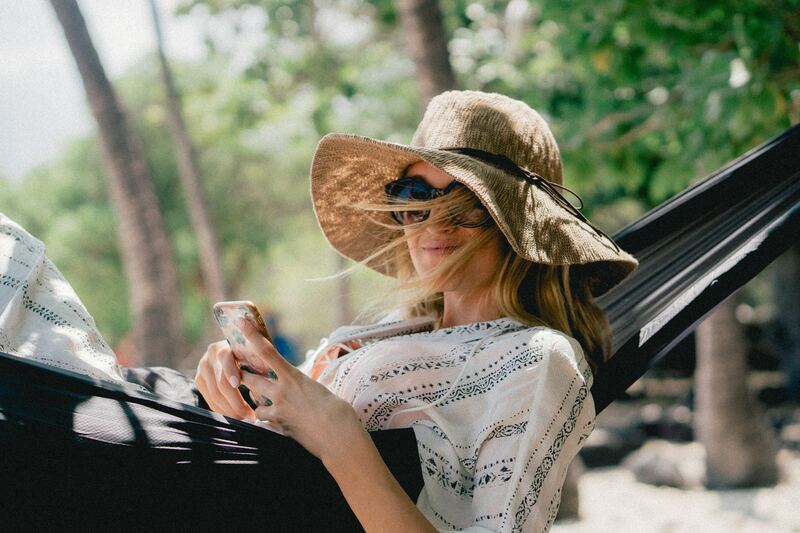 Thats the only problem Zoe – if only travel was completely free! 7 ticked off and a whole heap more to see 🙂 so inspiring! Glad to have inspired you naomi! 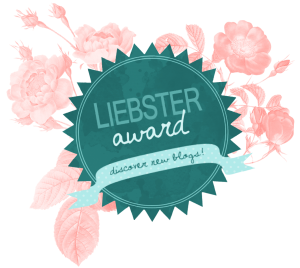 This is a great post Leanne! 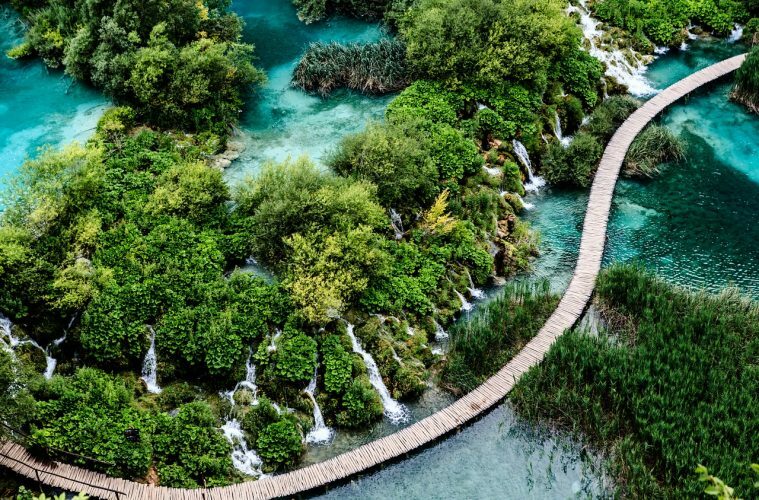 I would love to cross all of these destinations off my bucket list but Plitvice looks particularly gorgeous. Oh man, I have some work to do! There are so many great places to see in Europe. I was reading this thinking, oh no I’ve heardly been to any of these places. Got to 6 by the end of the list though. I think when you live in Europe you think you can always save visiting it for later. Now I’ve been away from Europe for so long, I’m desperate to explore it. Considering I’m from the UK it’s a woeful 8/25 for me! Looks like I’ve got work to do 😂 A great list, I love your photography. It’s very near the top of my bucket list! I have never taken a hot air balloon ride and I need to change that soon! Cappadocia just looks magical! I used to be a summer travel girl but these days I’m being pulled to these winter wonderland destinations!